Our palette of solid color finishes continue to be a popular choice in today’s kitchen designs and gives the look of painted cabinetry. The selection has been expanded with two additional colors, Cotton and Smoky Blue. 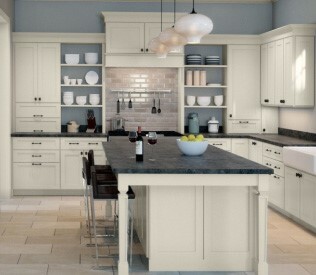 Cotton lends a rich creamy white compliment to other opaque colors as well natural wood tones. 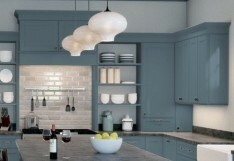 Smoky Blue is a color that is growing in demand providing a nice contrast to your cabinetry projects while blending well with other solid colors.